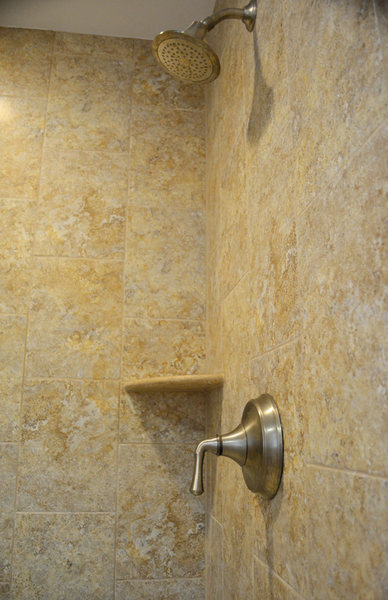 A&E Construction is your local Princeton - Pennington - Hopewell construction company specializing in home additions kitchen remodels and bathroom upgrades. A&E Construction's seamless additions to the existing structure of your home will make your addition, bump up, or dormer expansion look like it's been part of your home since its original construction. Adding on to your home is a big decision that will enhance the space and increase the value of your home. 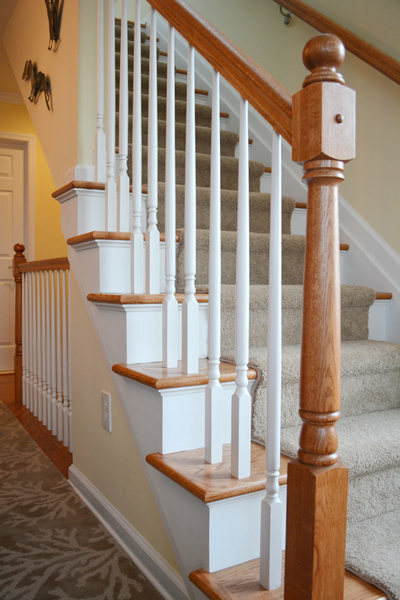 Whether you wish to extend the floor plan or create a second-story addition, A&E Construction's Princeton additions derive from sound architectural designs and high quality building techniques to satisfy homeowners' aesthetic and functional needs. A&E's home additions provide a clean, distinctive exterior façade for your new interior space to fit your taste and lifestyle. Browse examples of our additions and new construction to see the beauty and functionality of our large-scale project designs. 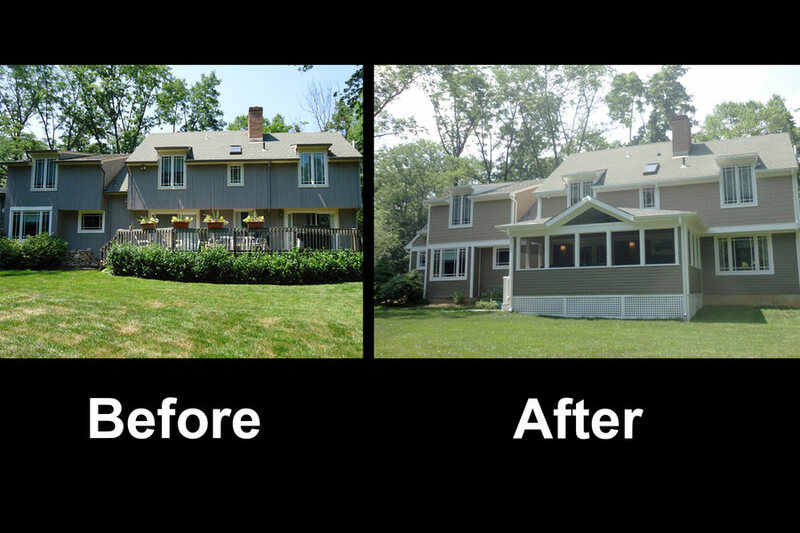 This home renovation involved the addition of a pool house and covered patio area to an existing home. The spaces added to the home included a full kitchen, outdoor patio space, and also an outdoor fireplace. This beach home was a ground-up new construction project that A&E Construction completed in 2014. Brightly lit through an extensive network of windows and glass doors, this cheery home offers plenty of space for entertaining friends and family during the vacation seasons. This is a more modern take on a home addition, with a highlighted area of knotty pine exterior in contrast to the more moody grays of the remainder of the exterior. An enclosed porch addition provides a perfect area for entertaining, through rain or shine, without sacrificing the fresh air of a deck or patio. 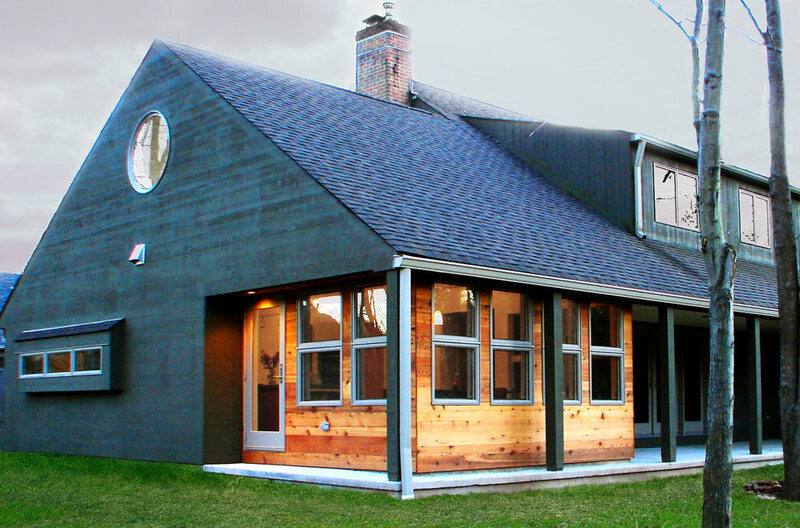 See how this porch addition fits seamlessly with the home's previously existing exterior. This project also involved residing of the house with James Hardie siding. A front porch addition can change the entire appearance of your home's facade. Consider this type of home renovation if you are looking to increase the value of your home, or simply want to upgrade the look of your home's exterior. A garage addition is both a functional and attractive way to add value to your home. A&E Construction will work with you to create the unique look you want and storage space that you need in a timely and professional manner. 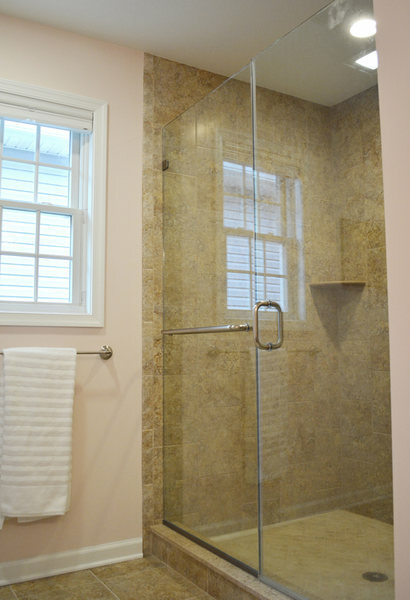 This renovation involved a two-story home addition that allowed the homeowners to expand their first-story kitchen, enlarge their second-story master bathroom, and add on a dressing room to their en suite. Scroll through the photo gallery to see these new spaces.